Tiger Muay Thai and MMA Phuket would like to wish Poland MMA star Tomasz ”Pajak” Stasiak good luck on his December 3rd fight in Poland. Currently 3-0 as a professional, Tomasz a Brazilian Jiu JItsu Black Belt is looking to keep his record undefeated. 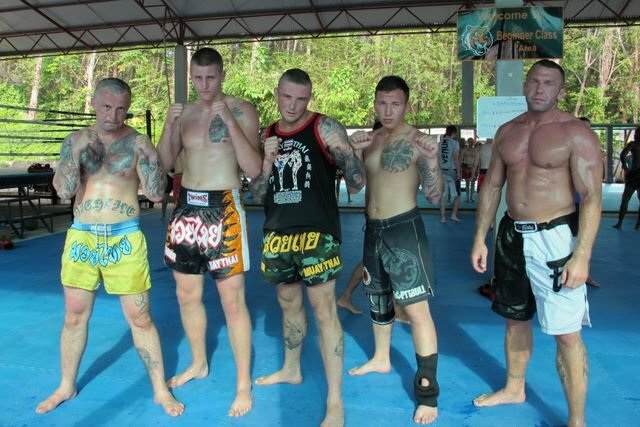 Kicking off his training camp at Tiger Muay Thai and MMA Phuket with 6 other teammate from the famous Berserker’s Grappling team last month at Tiger Muay Thai and MMA Phuket, he is in great shape heading into his upcoming bout against Pawel Ilnick.